The gotu kola plant grows in tropical regions, with large green leaves on large stalks. It flowers with brilliant pink and red hues, which can be quite lovely to look at whether it is a cultivated plant in greenhouses or a natural growing plant in the wild. Often, this plant is used to make an herbal tea. Also known as Indian pennywort, Gotu Kola tea is an herbal remedy that is used all across the globe and has been for many years. It is particularly common in the traditional medicine of China, Indonesia, Africa, and India. This tea is usually brewed after the plant is dried and can help alleviate number of health symptoms or ailments because it is antimicrobial, diuretic, and has anti-inflammatory properties as well. This makes it suitable for many different health problems and it may even be prescribed by herbalists as a simple health or energy tonic. One specific health benefit that gotu kola tea has to offer those that drink it is its remedial effects on fatigue and stress or anxiety. It exerts a calming effect on the nerves, while at the same time stimulating the mind. A hearty cup of this tea can also help alleviate other related issues such as tension and depression. If you find yourself stressed or suffering from nervous disorders, this tea may be worth trying. Drinking gotu kola tea is also said to have the ability to improve mental clarity and assist with better memory retention. This may prove useful for those that suffer from mental illnesses such as Alzheimer’s disease. Gotu kola tea is highly prized in some areas of the world because it is believed that aside from these advantages it also has the ability to enhance concentration and intelligence as well. One scientific study was even able to back up this claim, showing that people that drank gotu kola tea received significantly higher scores on intelligence tests. Another study was also able to back up evidence that this herb is excellent for improving memory retention as well. Another excellent benefit to drinking this tea is that it can offer some protection for the digestive system. This tea contains compounds such as asiaticoside, which has the ability to prevent the formation of ulcers in the stomach. It can also help improve the digestive system and circulatory system overall by strengthening the walls of the intestinal tract. This will make it less likely for you to experience problems that are related to the digestive system. The improvement to the circulatory system is also beneficial for aiding the digestive tract. Preparation: To prepare gotu kola tea, steep one tea bag in a cup of boiling water for 15 minutes. Gotu kola has no distinct taste or smell to it. Some people choose to add honey or sugar to the tea, but if you are using it for health reasons, it’s best to leave table sugar out and stick to the honey or a twist of lemon for added flavor. While there are no adverse effects of drinking this natural tea, pregnant women should consult with their doctor before consuming any herbal remedy. To reap the benefits of this tea to its full extent, herbalists recommend drinking this tea two or three times a day. Although this tea has no significant taste to speak of, many will find satisfaction in drinking an herbal tea that can offer so many amazing benefits. A cup or two of this tea a day regularly can help improve your mental focus as well as your health in many areas as well. Although these are only a few of the many benefits that this tea has to offer, there are actually many other benefits as well with more being uncovered by research every day. If you are interested in trying this herbal tea, it can sometimes be found in the tea section of local health food stores. However, it can also be found for sale from many online merchants as well. This may be a more convenient alternative for those that are looking to purchase this tea. We highly recommend Buddha Teas if you are looking for a good tea merchant that you can take comfort in trusting. 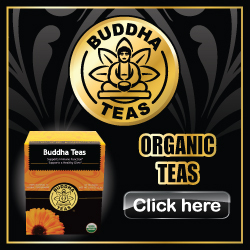 Buddha Teas sells offers 100% organic and natural herbal teas that have been packaged in bleach free pillow tea bags. We sincerely hope that you have been able to find this article information and able to answer any questions you may have regarding gotu kola tea. However, if you have any further inquiries, you are welcome to contact us for further information regarding this herbal remedy. I read this article and found it very interesting, thought it might be something for you. The article is called Home Page and is located at http://www.gotukolatea.net/.